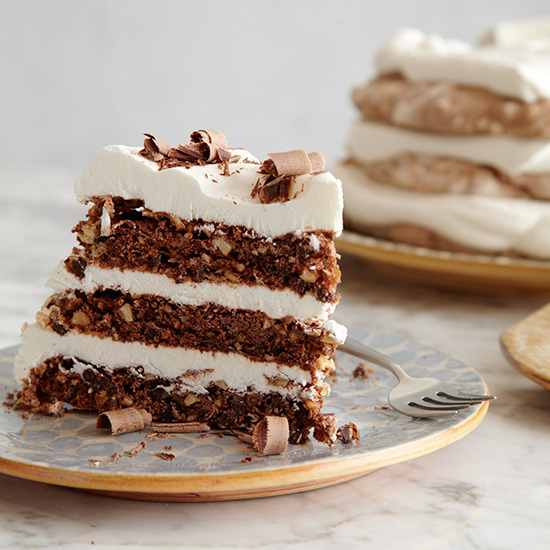 Pastry chef Daniel Jasso's extraordinary dessert, made with crisp chocolate-hazelnut meringue and whipped cream, is simple to make. 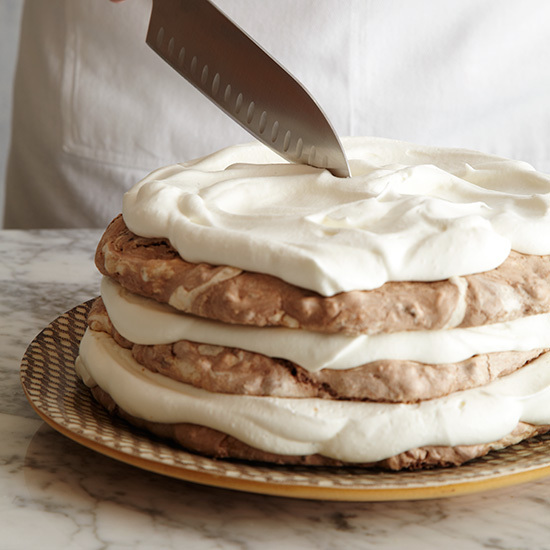 Pastry chef Daniel Jasso has nicknamed this cake "the beast," because slicing it can be tricky—the meringue tends to crumble. 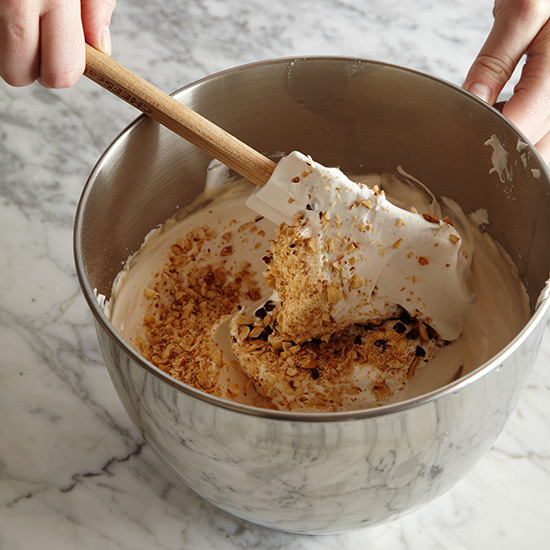 The solution: Freeze the cake, cut it with a serrated knife and let it return to room temperature before serving. 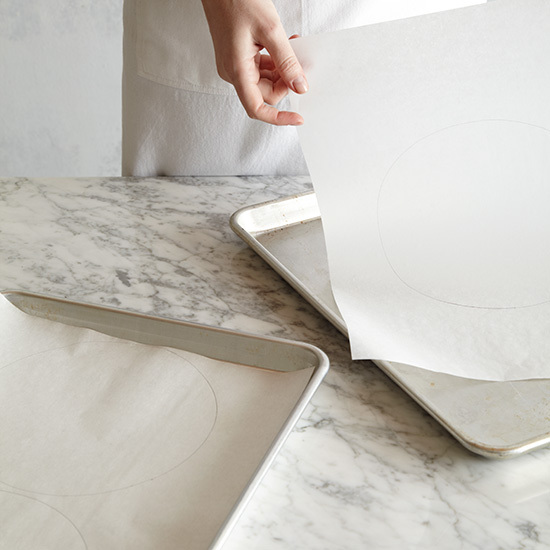 Line 2 large baking sheets with parchment paper. Draw two 8-inch rounds on one sheet of the parchment and one 8-inch round on the other. 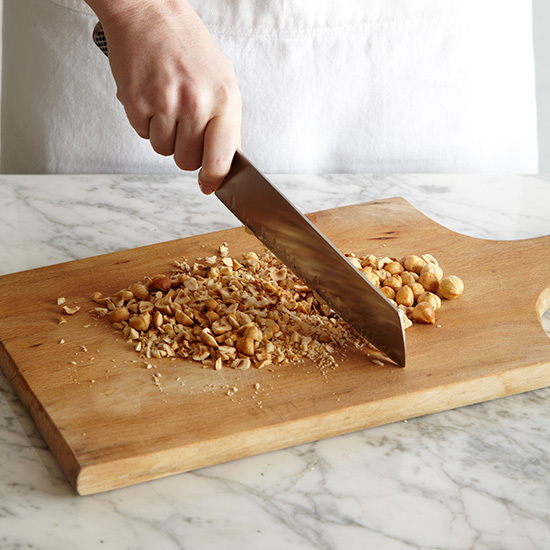 Spread the hazelnuts on a third baking sheet and toast until browned. Let cool slightly, then transfer to a towel and rub to remove the skins. 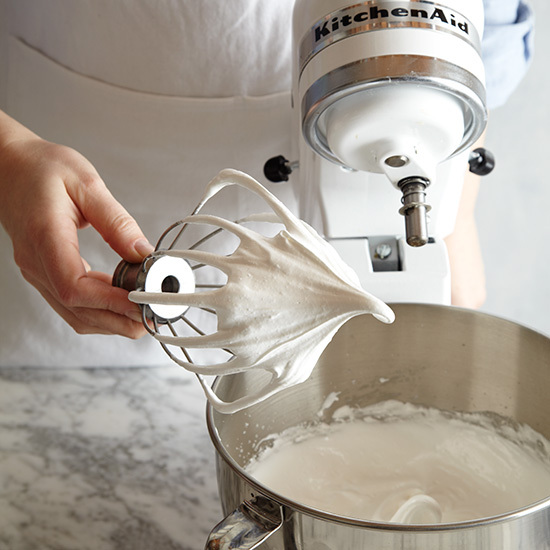 In the bowl of a standing electric mixer fitted with the whisk, beat the egg whites with the salt at medium-high speed. 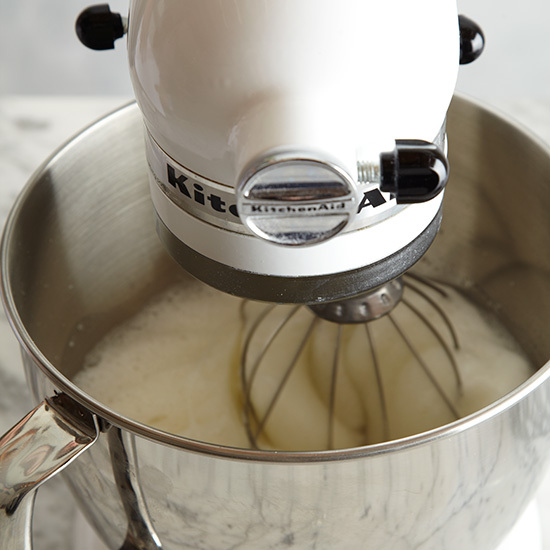 Gradually beat in the granulated sugar at high speed until stiff. Beat in the vanilla and almond extracts. 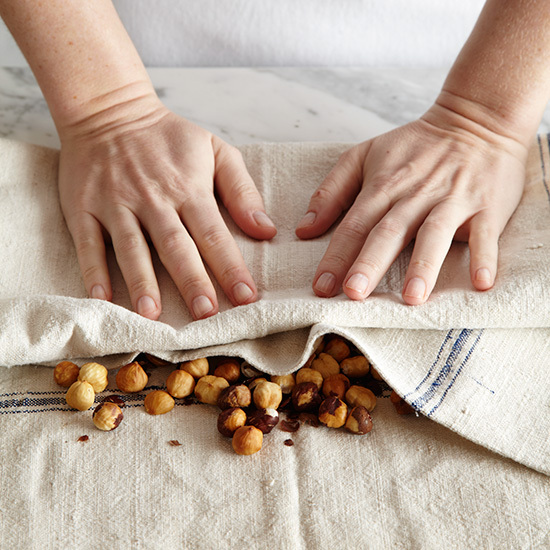 Fold in the hazelnuts and chocolate chips. 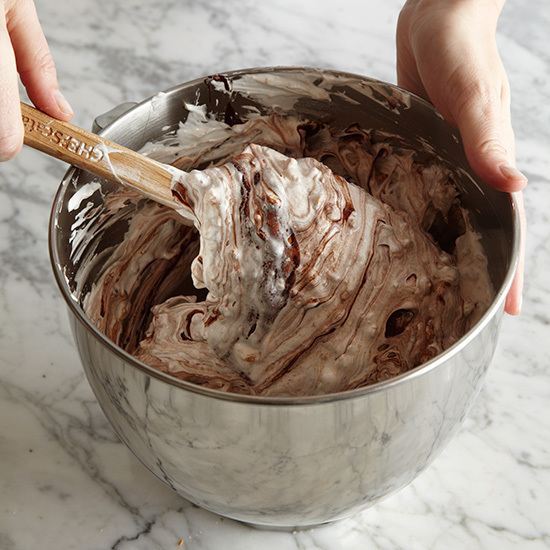 Pour the melted chocolate down the side of the bowl and gently fold until the meringue is lightly marbled. 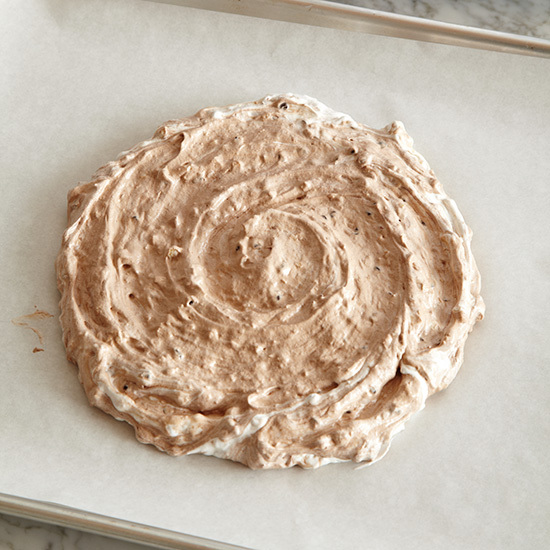 Spread the meringue in the drawn circles. 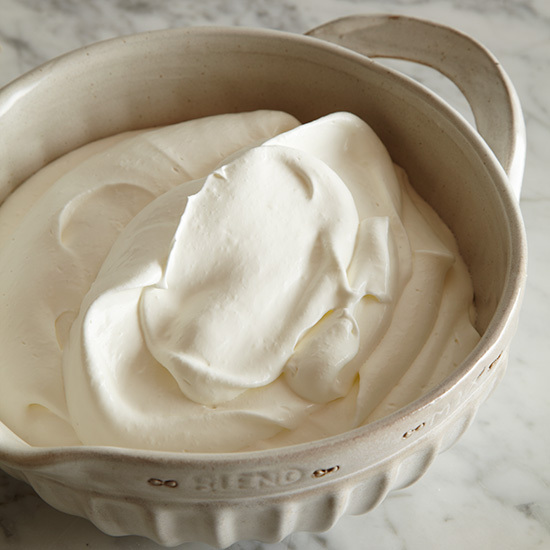 Bake the meringues for 2 hours and 30 minutes, until crisp. 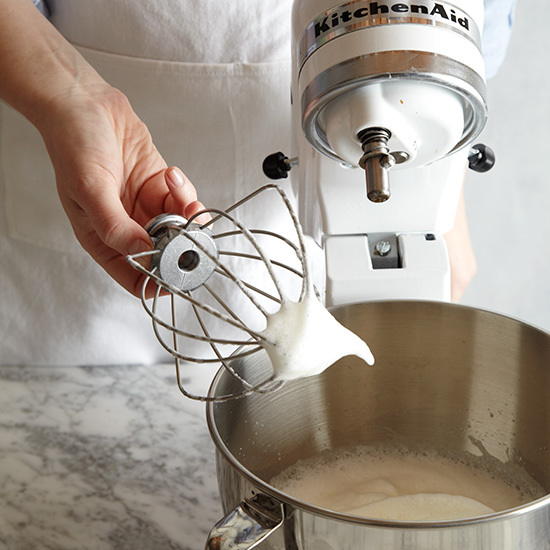 In the bowl of the standing mixer, beat the cream with the confectioners' sugar until firm. 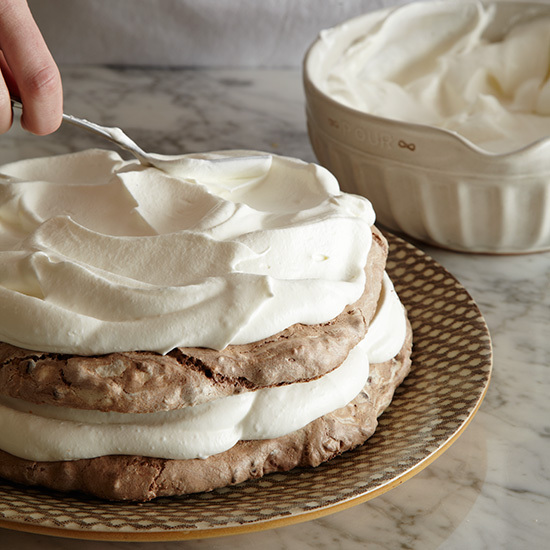 Spread the whipped cream on the meringue layers and stack them. 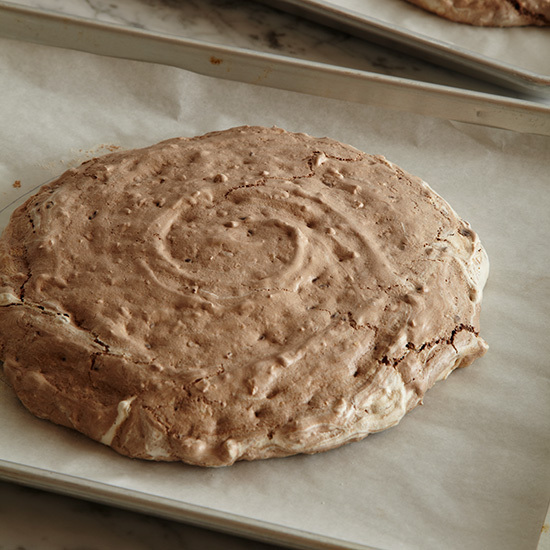 Refrigerate or freeze the cake overnight. 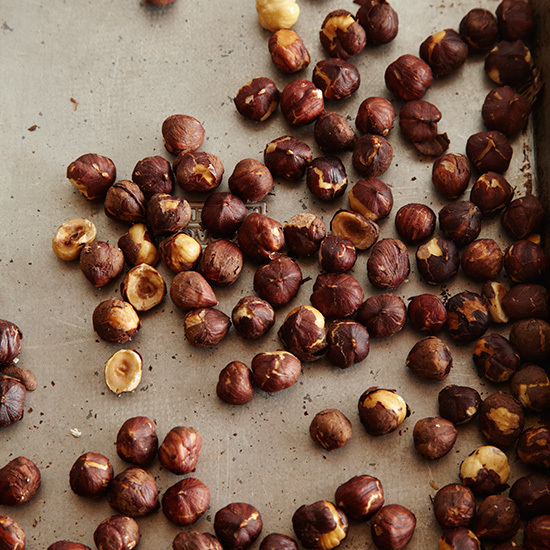 Garnish with chocolate shavings and serve at room temperature.